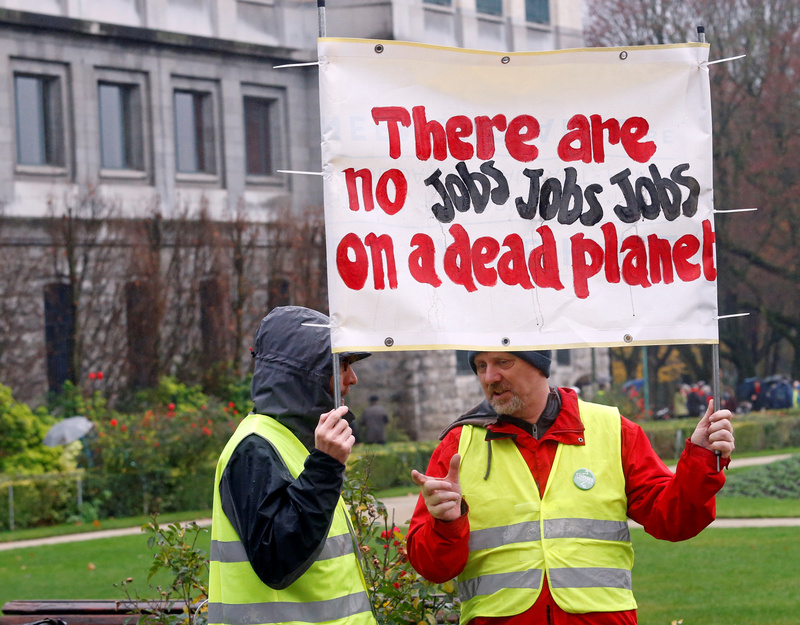 People take part in a march called “Claim the Climate” demanding Belgian authorities to take action during the COP24, in Brussels, Belgium, Dec. 2, 2018. REUTERS/Francois Walschaerts. More than 30,000 people are expected to attend COP24, which kicked off Monday, in Poland. For 12 days, U.N. officials, diplomats, environmentalists and journalists will eat up electricity and fuel traversing thousands of square meters of temporary structures set up to house the summit. 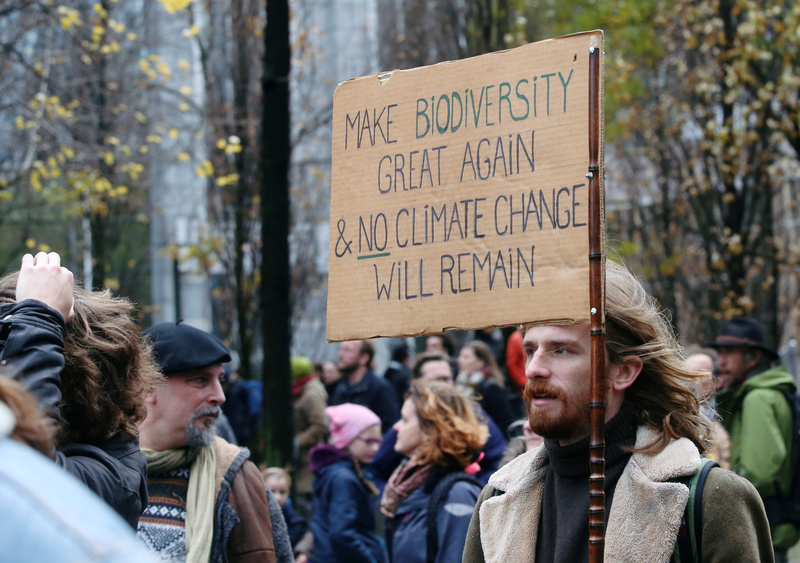 People take part in a march called “Claim the Climate” demanding Belgian authorithies to take action during the COP24, in Brussels, Belgium, Dec. 2, 2018. REUTERS/Francois Walschaerts.